And I mean everywhere. And I mean a memorable, useful name. When setting up a memory palace, name every location carefully and it will serve you well. That is a lesson from indigenous cultures that I had not learned well enough. It was five years ago that I set up my first three big memory palaces for the Countries of the world (including independent protectorates), Pre-history and History. I have done many since. I learnt a major lesson this week when I returned to those first three palaces to write about them in my new book. They are constantly in use because my brain jumps to any location on them when I need the information, but I had not travelled them and checked all the locations for well over a year. 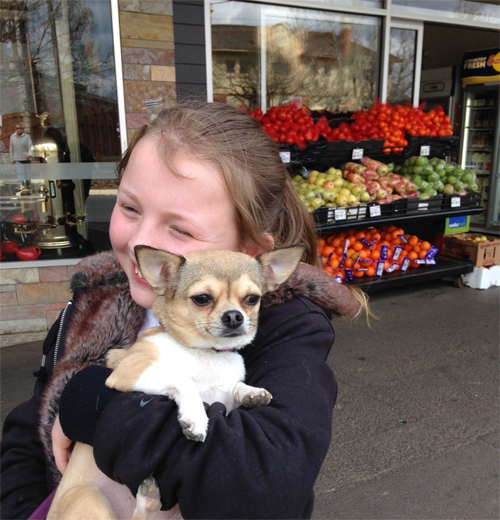 Granddaughter Abigail and Poppy walking past Curaçao (the Netherlands), aka the fruit shop. Countries walk was still easy. In the Countries memory journey, every location had a name by default. It just took the name of the country. When I announced to my husband that ‘Kirsten had bought Tokelau’, he knew that she was just moving in round the corner and had not, with the income of a school teacher, suddenly bought an entire island. The actual locations of particular events along the Pre-history and History walks were still in my memory despite the lack of revision. These are continuous journeys, not a set of separate locations, as is usual for memory palaces. Time doesn’t work in neat moments – so I need to walk through time. I can also put any new event in place because there will always be something (a tree, rock, fence) at the point where I want to add the new item. But the dates were not there in my memory as I walked these familiar trails. I needed to work out the dates of most of the locations that I had chosen to divide up time and ground the walk in the landscape. Only a few highly memorable dates were firmly in place. I had divided up the two historic journeys in a varying scale because they started at 4,600 million years ago and go to the present. Once I get to 1900 I continue the location for every year in what I call my 20th Century journey. 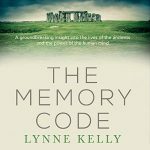 The last one was fine – the numbers in the memory palace ‘name’ the dates. The scales on the three history palaces vary greatly. If I included every year from the beginning, I would circumnavigate the world well over 2,000 times. As it happens I walk about 2 km. The problem with the Pre-history and History walks dawned on me and was very easily solved. The locations for each of the significant dates dividing up the journey should be named. How blatantly obvious! Why had it taken me years to realise it? 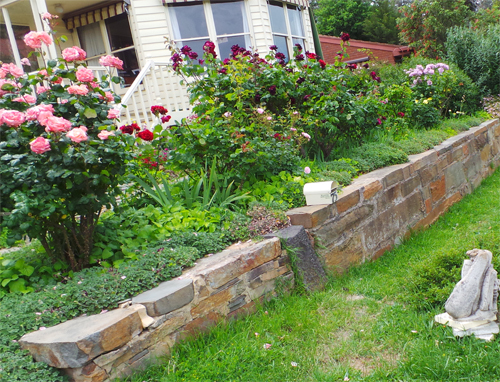 My first location in Pre-history is the stone wall in front of our house, which I referred to as ‘Front stone wall’. Good, isn’t it? I had then linked the wall to the Hadean geologic eon. The Hadean? A wall? And it hadn’t occurred to me for five years to call it Hadean’s Wall? I hang my head in shame. The driveway at 65.5 million years ago, when the dinosaurs were wiped out, is no longer referred to as ‘the long driveway’ but is now ‘Dead-Dino-Drive’. I named lots of them in French. It made my memory palace sound so much more sophisticated. 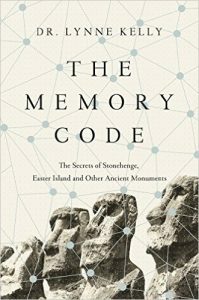 At 100,000 years ago, I listed the house by the name on the gate which is rather useless for my purpose – and I kept forgetting it anyway. It is now ‘Cent Maison’ and the power pole which I referred to as ‘Power pole’ is now ‘Trente Chauvet Poteau’ which rolls off the tongue rather nicely, don’t you think? It also tells me that I’m at 30,000 years ago and that this is the date for the wonderfully painted Chauvet Cave. The little gap at the bottom of the pole (a cave, if you have a vivid enough imagination) confirms that I am at the right power pole. Two walks around Pre-history and History later, saying the names aloud (once I checked that there was no one within hearing) and the names were all in place. Why has it taken me so long to realise the problem? It’s not as if I didn’t have plenty of indigenous advice about the importance of naming locations. I also had experience. When I set up a version of an Australian Aboriginal songline through the nearby bush, I named each location, every ten metres or so along the track, as I had been told to do. It was astoundingly easy to sing those names and visualise every single metre of that bush track. By naming I noticed a whole lot of details which I simply wouldn’t have noticed otherwise. So why didn’t I realise the importance of naming locations for my history walks? Alongside Aboriginal songlines, one of the most influential writers on my thinking was Keith Basso. He described similar phenomena for Native American cultures. 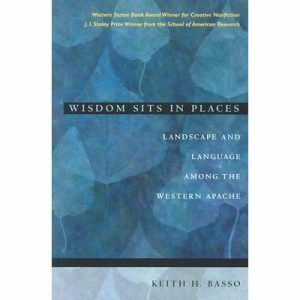 In particular, he wrote about the importance Apaches put on place names in his fantastic book, Wisdom Sits in Places: Landscape and Language Among the Western Apache (1996). As conceived by Apaches from Cibecue, the past is a well-worn ‘path’ or ‘trail’ (‘intin) which was traveled first by the people’s founding ancestors and which subsequent generations of Apaches have traveled ever since. Beyond the memories of living persons, this path is no longer visible the past has disappeared and thus it is unavailable for direct consultation and study. For this reason, the past must be constructed which is to say, imagined with the aid of historical materials, sometimes called ‘footprints’ or ‘tracks’ (biké’ goz’áá *), that have survived into the present. These materials come in various forms, including Apache place-names, Apache stories and songs, and different kinds of relics found at locations throughout Apache country (the hand-cut stones surrounding the spring at Snakes’ Water provide a good example). Because no one knows when these phenomena came into being, locating past events in time can be accomplished only in a vague and general way. This is of little consequence, however, for what matters most to Apaches is where events occurred, not when, and what they serve to reveal about the development and character of Apache social life. In light of these priorities, temporal considerations, though certainly not irrelevant, are accorded secondary importance. (pp 31-2). I have learned my lesson now. I had another thought as I was reading your book. As is well recorded, modern society have destroyed a huge amount of landscapes, monuments, forests, and holy sites around the world over the ages. Of course, it would be upsetting for any culture to see their way of life being destroyed in front of their eyes – the things they, and their ancestors, had painstakingly built with their own hands etc. However, if your book is true, and I have no doubt that it is, then destroying these monuments was not just destroying an item or area of historical beauty and interest but was literally destroying their very memories. Every piece of knowledge associated with their way of life was being systematically annihilated before their eyes. This surely adds a new kind of horror to the destruction of native monuments. The reason I mention this is because we tend to think of these things as historical but there are native cultures alive today – in the Amazon rainforest, for example. By destroying the forest around them we may be (amongst everything else) destroying not only the forest but their entire memory – how tragic! I believe that you are correct – destroying the landscape and monuments was destroying their memories. For many of our Aboriginal cultures is Australia, there is so little of their Country and so little of their songlines still visible that they have struggled to retain their culture and stories. I agree that the horror should be recognised not just as physical but also as intellectual cruelty. It is tragic – and we still have some intact cultures in Australia in the more remote areas. We are destroying them through mining their landscape, lack of respect for their elders and overwriting (literally) their language. Horrifying, isn’t it? Thankyou for your message. I think that you have picked up on what I consider the most important aspect of my work. More fascinating stuff. I am really hoping to read your next book as quickly as possible. I am very much hoping you will have a Beta reading programme or will release the book on kindle early or something as I’m really dying to read it. Do you have an exact publication date yet? I am delighted that you are so keen. I am getting a lot of enthusiasm for the new book. Unfortunately, the advance options you mention won’t be available because of the way I write. I do a very rough scheme of the whole book, shoving in ideas to all the chapters as I think it through. I then do a very rough version of each chapter, nothing which I would be comfortable letting anyone see. I then go through and refine it, ready for submission. The manuscript will go to my Australian publisher, Allen & Unwin, in July. They are very strong on editing, so it will then go through a detailed editing process – something I appreciate greatly. I am always horrified by things which have slipped through my multiple edits. Plus they pick up ambiguities and my convoluted syntax. I have some sentences which make perfect sense as long as you read them with the same emphasis as I wrote them! Publication date is about a year off now, as long as I stick to the schedule. Only really bad health (and none is indicated) would stop that. Thank you, my walks with the dog will take on a different mind route this morning. It is as you say so obvious, but for centuries we have been “taught” that we are more advanced than our ancestors, which we are not, just have different tools. Exactly! I am horrified looking back at my schooling and lack of understanding of indigenous intellectual achievements. 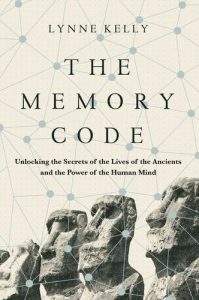 I hope that your walks get even more engrossing as you encode information. Let me know how you go!